Wireless charging means that you can charge your phone without having to plug it in. Our phone chargers are Qi compatible with all brands, makes and models of mobile phones. iPuck | The Ultimate Wireless Phone Charger! The iPUCK products are high quality wireless charging devices. With their elegant design they fit in any environment. The discs or pucks can be made of various materials including but not limited to metals, plastics, leather etc. 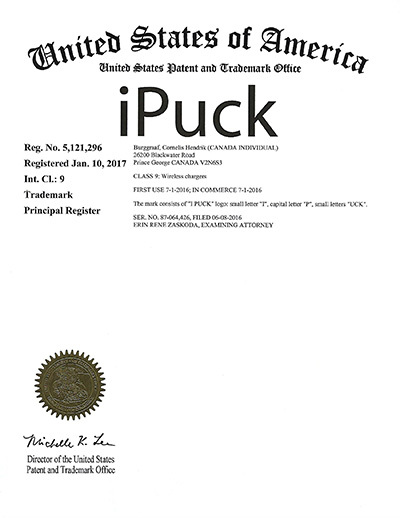 iPUCK is a registered Trademark in North America. 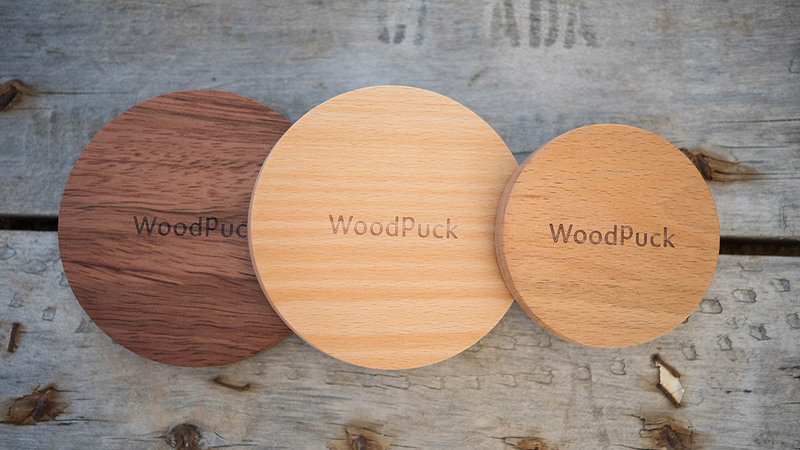 WoodPuck wireless chargers are made of high quality and durable materials. These chargers are built for extended usage in private and commercial environments. 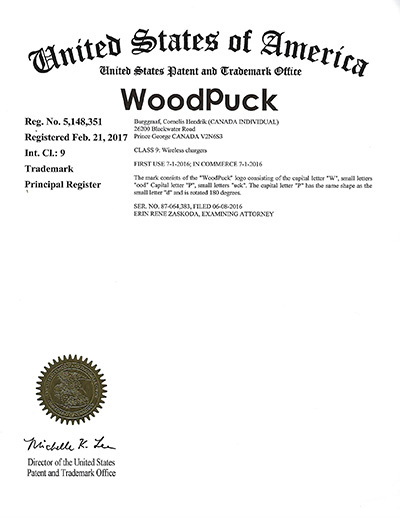 WoodPuck is a registered Trademark in North America. 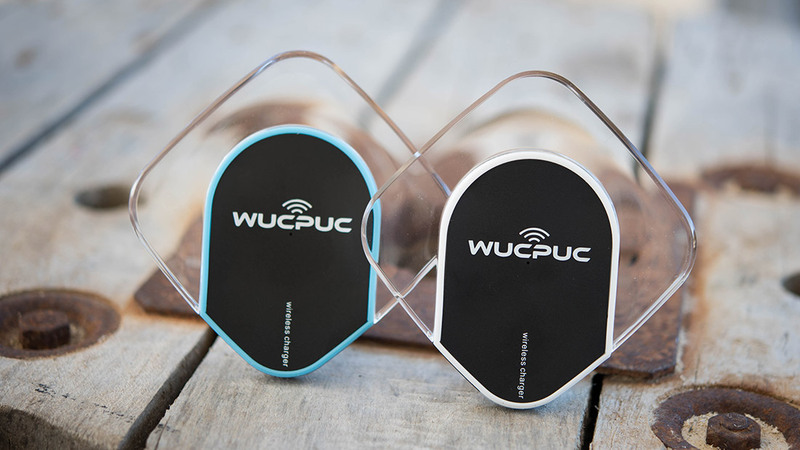 WucPuc | The Crystal Wireless Universal Charging Puck! The WucPuc wireless charger is a modern and elegant charging device with a diamond shaped crystal body and with it’s fine details this universal charger is a must have accessory. WucPuc is a registered Trademark in North America. Wireless charging means that you can charge your phone without having to plug it in. The science behind Wireless Charging is known as Qi (Chee) and comes from the Chinese word for natural energy. Qi is the universal standard for wireless charging with devices including smartphones, tablets and smart watches. We can imagine you are very excited about the idea of wireless charging, but of course there is one vital question, is my phone Qi compatible? Check out our phone guide here to find out if your phone has Qi built-in and is wireless charging ready! But I still need to plug in my wireless charger, so how is it wireless? There are wireless chargers and Wireless Chargers. 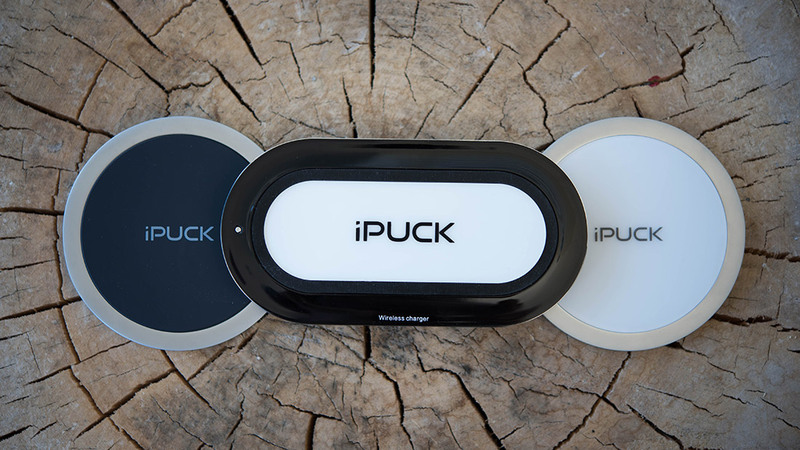 Of course, you still need to plug in your iPuck, WoodPuck or WucPuc to be able to use it, but it’s all about convenience: just Drop your phone and Charge, then Pick Up and Go! I have a case on my phone, does it interfere with a wireless charger? Using a case with your phone shouldn’t interfere with it’s wireless charging capabilities. However, if you are using a case drenched in gemstones, or in the shape of a teddy bear; as much as we encourage personal creativity, we can’t guarantee that these cases will always work. Wireless charging works best with slim, flexible cases so that the transmitter and receiver can connect easily. Of course you can decide for yourself, but we have two words for you: cable-spaghetti. How convenient would it be to have one charger for all of your phones, pads, smartwatches and so on and no longer have to fight with any charging cables? Is your device QI compatible? Wireless charging eliminates battery anxiety because it’s built into our daily lives. Tangled, incompatible power cords disappear with wireless power charging technology. Wireless power charging is energizing a world of convenience for many consumer products.